Hillary Clinton, in this political video, Children, reminds Democrat voters that the world is a dangerous place, without mentioning nuclear crisis or terrorist attacks. “It’s 3 am and your children are safe and asleep. But there’s a phone in the White House and it’s ringing. Something’s happening in the world. 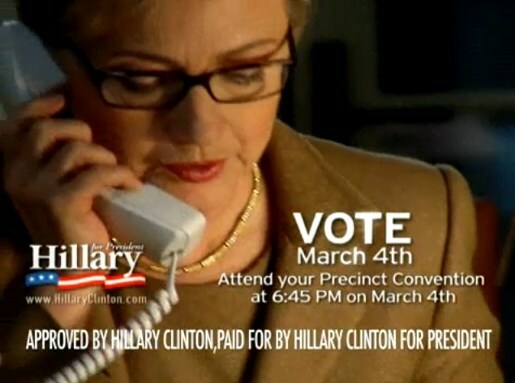 Your vote will decide who will answer that call. We need someone who already knows the world’s leaders. Someone who knows the military. Someone already tested and ready to lead in a dangerous world. It’s 3 am and your children are safe and asleep. Who’ll be answering the phone?” Shades of the television series 24?